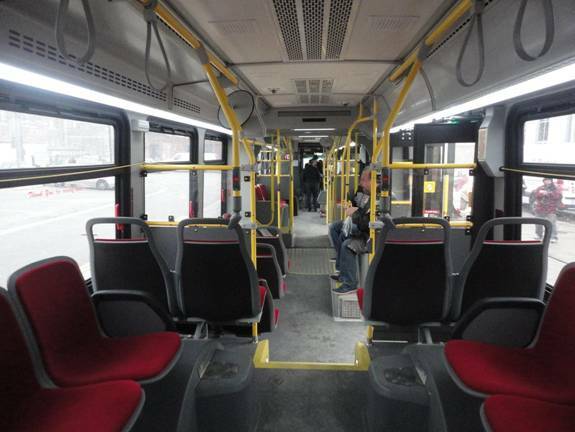 ����������� During the BHA convention, we had a tour of the Nova Bus factory. 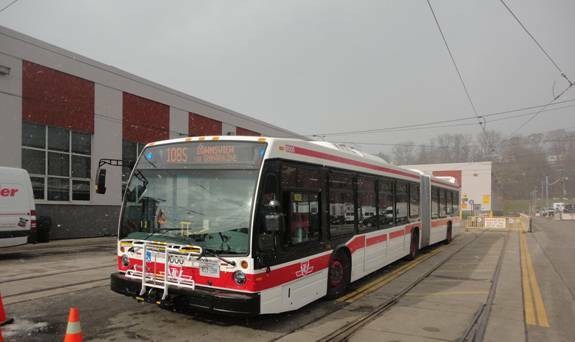 While at the factory, we saw TTC #9000, the first Nova LFS articulated bus in the factory. However, Nova Bus didn�t allow us to take photos in the factory and they didn�t pull out #9000, so I was unable to see it then. ����������� However, 9000 later went to Toronto. I saw photos of it and caught a couple glimpses of it, but was unable to photograph it. 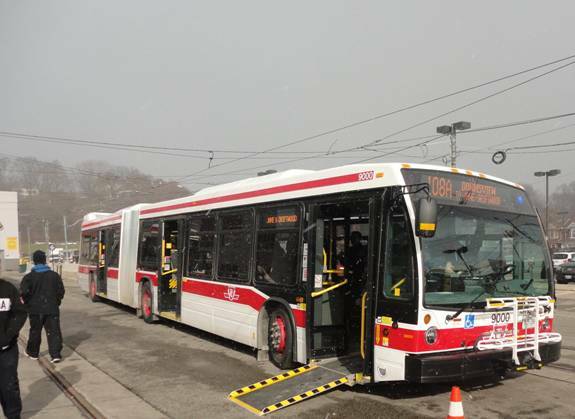 However, on November 23rd, the TTC was having an open house at their Hillcrest shops. At the open house, #9000 was on display. I finally got to photograph it. ����������� I took a picture of the closed side. When I saw #9000 at the factory, the closed side faced me. 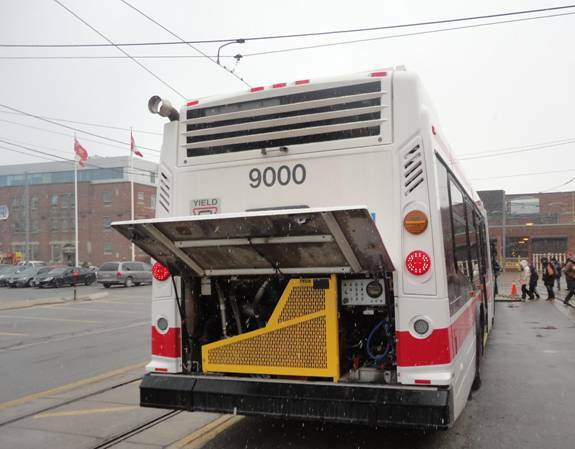 ����������� Here are two photographs of the rear of 9000. ����������� We were allowed inside #9000. I took some interior shots. ����������� Here�s a shot of 9000�s engine. 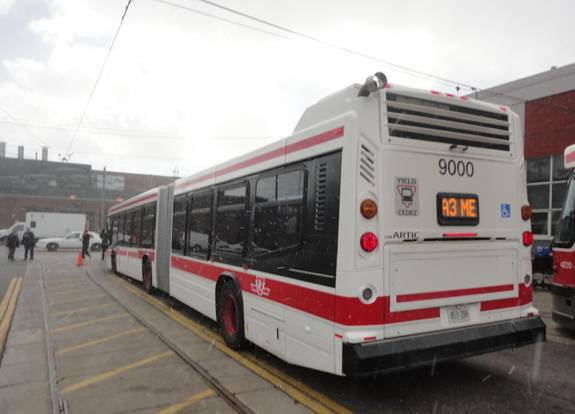 ����������� At the time, #9000 hadn�t entered service yet and was still undergoing driver training. 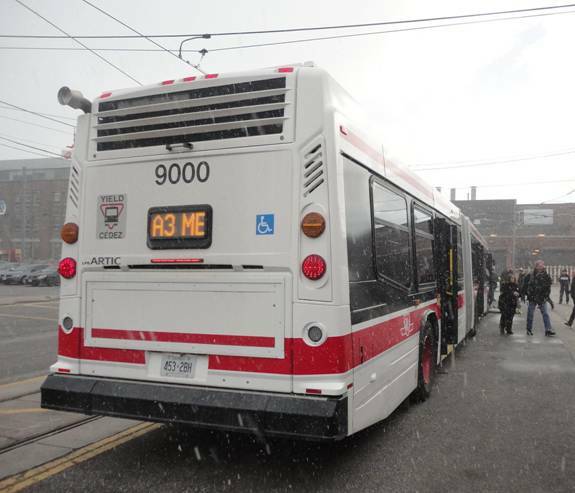 The TTC was hoping for the bus to enter service next month. 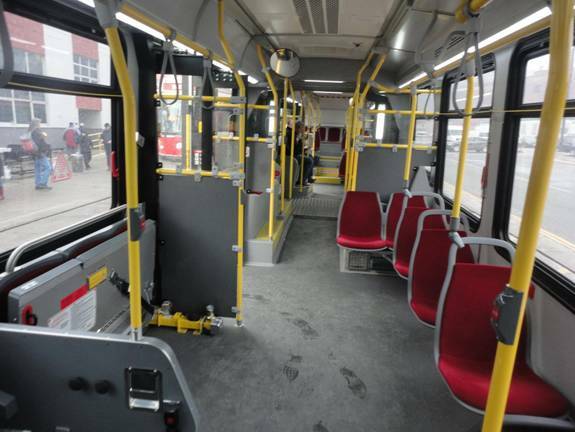 The TTC is expecting over 150 more articulated Nova LFS buses.